They say necessity is the mother of invention. Never a truer work spoke in my opinion. 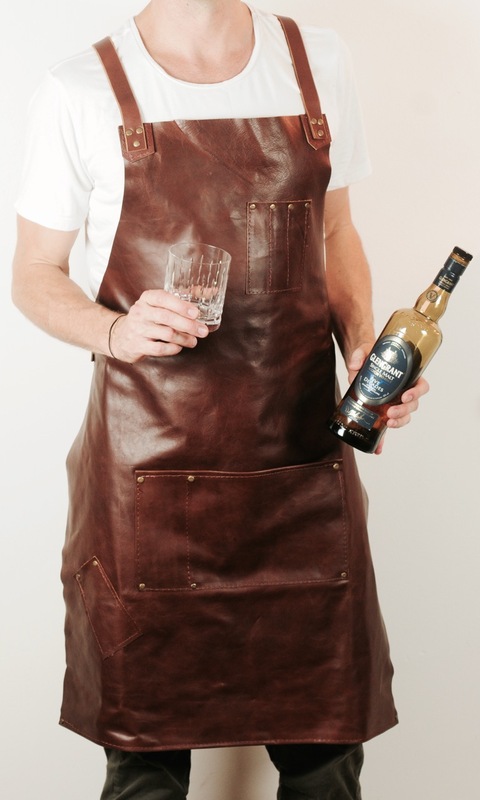 And after a thorough test period, my Leather Aprons are now available on my shop. When the good folk at Cobbler in West End, Brisbane dropped me a note asking about leather Aprons, I put my nose to the grindstone. 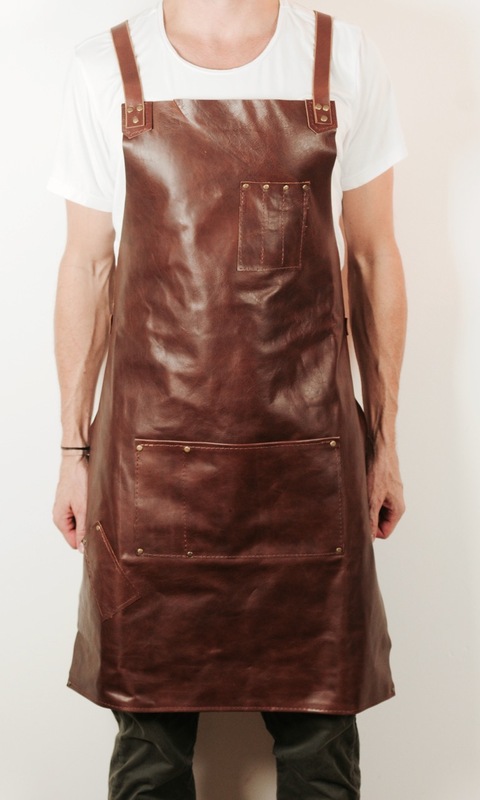 My first apron was better suited to a welder or blacksmith. 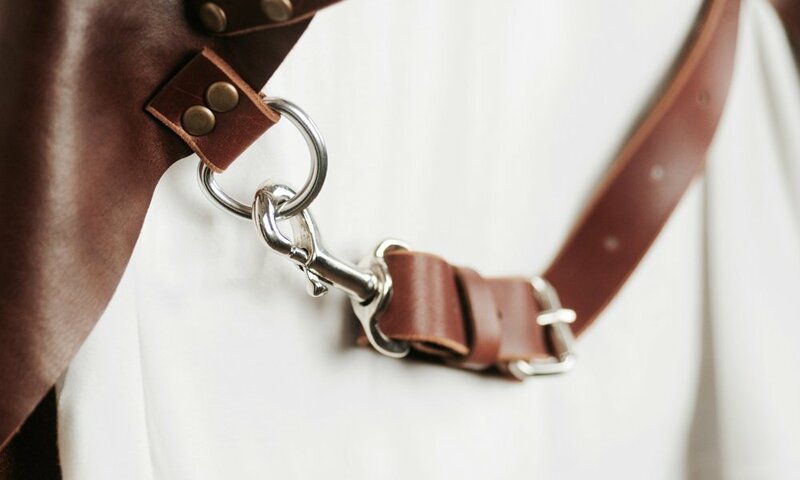 Tough as nails, the 2.2mm thick leather will never wear out, but behind a bar, movement is key. 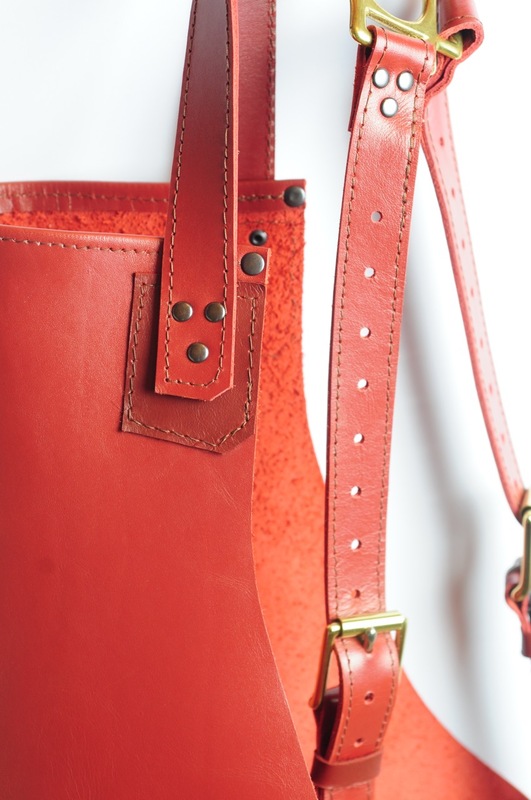 The finished product is using a heavy garment leather. 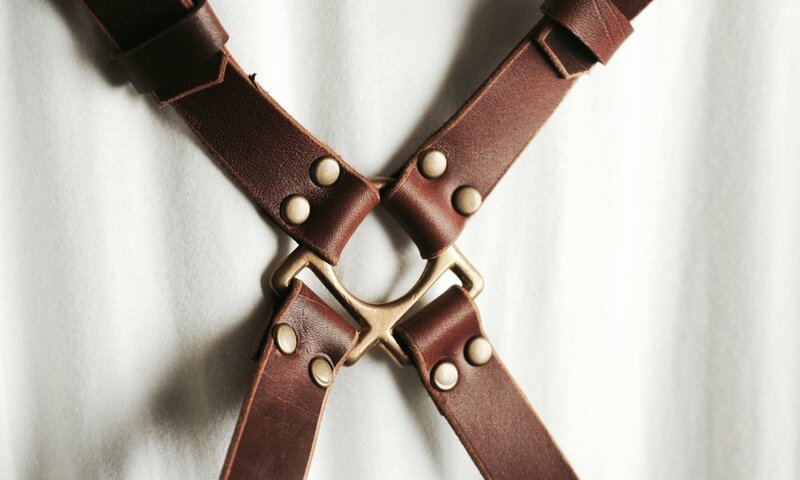 It's a little under 1mm thick so moves with the body and offers strength at the same time. They are surprisingly cool and breathe well. 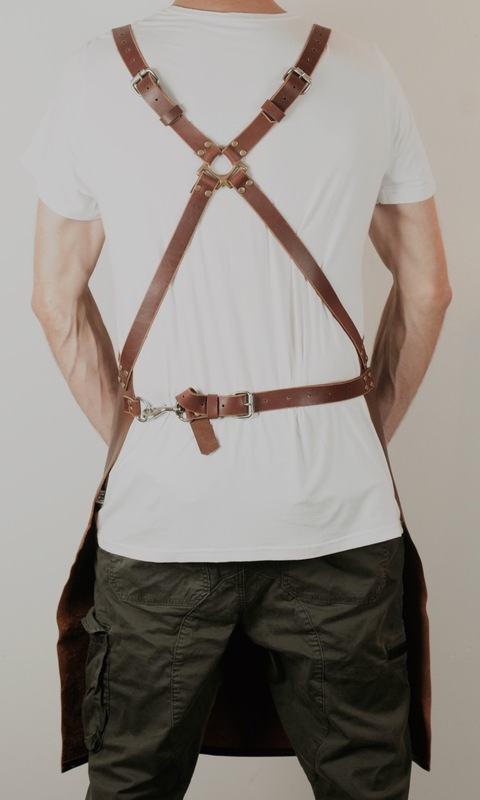 Because they carry a little weight, the straps on a leather apron need to sit over the shoulders not around the neck. 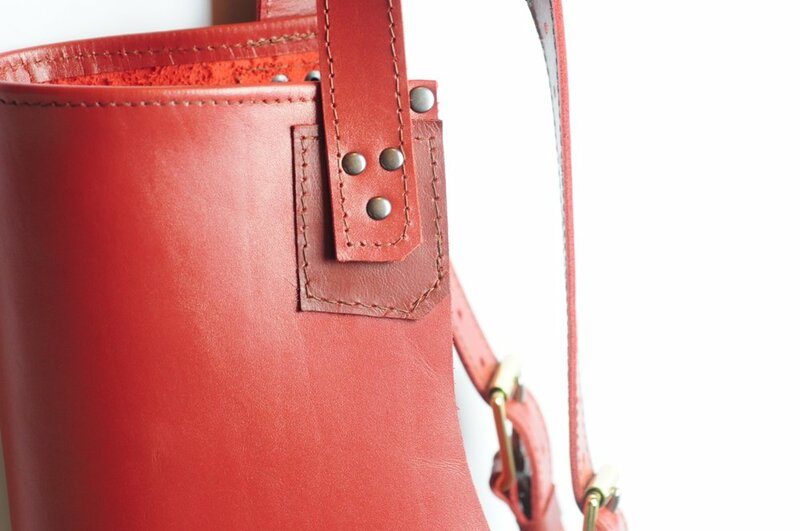 I either use a thicker leather for the straps, or a double layer as pictured in the red apron below. The stitching is all done on my industrial sewing machine using an extra thick durable thread. 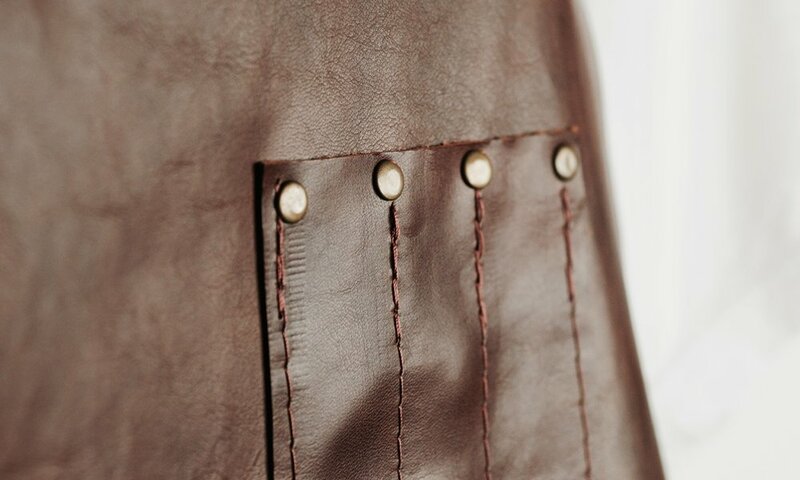 It's double stitched and reinforced around the joins and pockets. The rivets are all punched by hand.